Kreinik Silk Mori is a premium 6-strand, 100% pure SPUN SILK with a delightful softness and creamy lustre. Available in skeins, it can be plied for a wonderful variety of stitches. Silk Mori is easy to use and ideal for beginners in silk thread needlework. 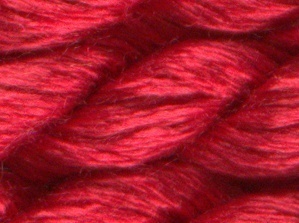 Available on 5 meter (5 1/2 yard) skeins.